Quietly powerful. Thought-provoking. Achingly honest. Intimate in the most relatable way. A story about love, fidelity, loneliness and the choices we make that can sometimes forever alter the course of our lives. This could be anyone’s story. A story so real and honest. A story very much in the style of Tracey Garvis Graves — one that challenged my thoughts and emotions. A story that takes notions of love, desire, fidelity and loneliness and throws them together to create a perfect storm all too familiar, but one in which you never quite know the outcome. What you have is dueling whirlwinds, each person fighting the pull of their own internal battles, too enthralled by what’s happening inside of themselves to realize the devastating aftermath. I was captivated from beginning to end, caught up in the emotions of the book, waiting to see how the story would unfurl. Claire and Chris Canton were living their happily ever after with their two kids, suburban home and neighbor friends. Happy that is, until Chris lost his job. Chris retreats into himself, falling into despondency, devastated that he is unable to provide for his family. Claire loses herself in the trifles of the everyday, in the monotony of responsibilities. For months, the rift between them widens as Chris’ depression becomes all-consuming. Good news comes with a downside, Chris finally finds a job, but it requires him to travel 4 days of a week, which over time becomes 5 days, which over time becomes weeks. Still affected by the rift that has divided them and now intensified by the passage of time, things go from bad to worse. Everything begins to spiral out of control, slowly untwining, unraveling, unwinding until suddenly you can’t really process just how gaping the chasm stretches between them. Chris is never there. Claire’s life is full with running the home and taking care of her kids, while she tries to take on contract jobs in graphic design. Conversations go from terse to non-existent, save for critical information exchanged on the kids. Bereft of touch, affection and even the physical companionship of a spouse, Claire’s loneliness becomes overwhelming. It was just so heartbreaking to read… the emotions on the page were palpable. When Claire gets stopped by gorgeous police officer Daniel Rush, she unexpectedly feels her heart race with his warm and charming smile, she can’t seem to stop thinking about him. When destiny throws them together once more, a friendship begins to form, their growing desire for each other ensconced behind the duplicitous nature of innocent intentions. The interesting thing is, that as a reader, a third-party observer of the story, you see the motivations, thoughts and feelings of each character through alternating Chris/Daniel/Claire chapter POVs and realize just how wrong we sometimes are about what we think others are feeling and thinking. Claire thinks Chris simply doesn’t care or notice just how far apart they’ve become, but that’s not true… Chris is simply consumed by the pressures of his job and his awful boss, it’s clear he loves his wife and his family. Chris just doesn’t realize just how wide that chasm is. Daniel is struggling with his own past and is torn between doing the right thing and succumbing to the feelings he now has for Claire. And Claire, well she is spending more time with Daniel, her heart uplifting with the attention and care he gives her. For the first time, in a long time, she feels desired. As their easy relationship deepens over time, at the brink of an irreversible choice, Claire’s guilt is crushing, but just as easily, it’s forgotten when Chris is simply not there and she surrenders in the smallest of ways to Daniel. After all, cheating is not only about physical infidelity, it’s about letting someone else in to your heart. It’s about the mounting feelings, the desperation to see each other, the love that soon begins to flourish. So much more happens that accentuates the complications brought on by these entwined relationships. There is no villain in this story, just three good individuals trying to do the right thing, temporarily lost in the swaying nature of their emotions, caught up in the circumstances of their troubled lives. 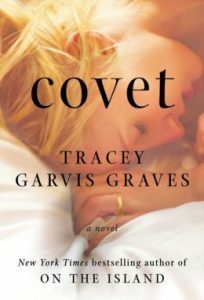 I loved seeing how Tracey Garvis Graves weaves in notes of social commentary through the struggles the Cantons and their friends experience. No family is perfect, we all have our own brand of trouble with which to contend. 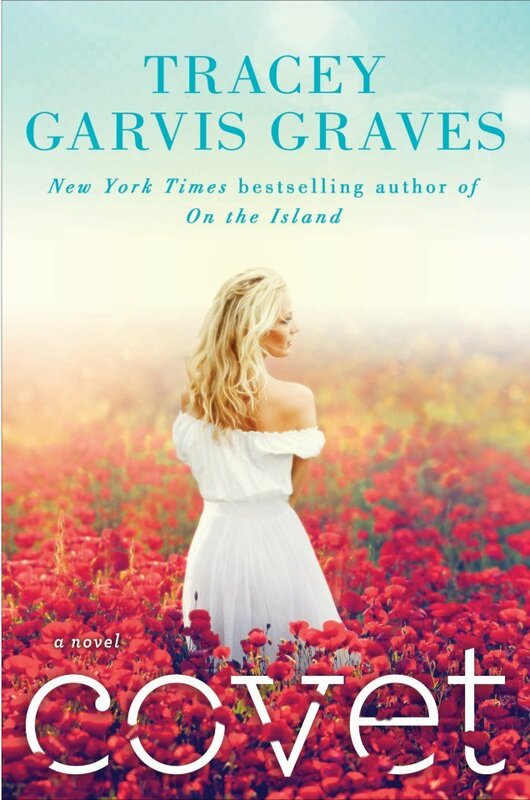 This is a women’s fiction book, meaning the story deals with a woman on the brink of life change and personal growth… romance is not at the center of this story. And along that vein, the story builds slowly, quietly with a maelstrom of emotion beneath the surface. There’s no explosive, showdown, knock-down plot peaks, but its intensely felt and emotionally evocative. I won’t divulge what happens… you’ll want to read that for yourself… although the story does have a happy ending in my opinion and it is a standalone. To me, this is a story not necessarily about coveting another person, but rather, coveting a feeling, a need, a closeness… a fullness in your heart that especially for women, we long for always. The power of this book lies in its honesty and its relatability. I look forward to what’s next from Tracey Garvis Graves!